Luxury Italian heritage and expert artisanal craftsmanship lie at the heart of Milanese fashion house Prada's coveted design aesthetic. 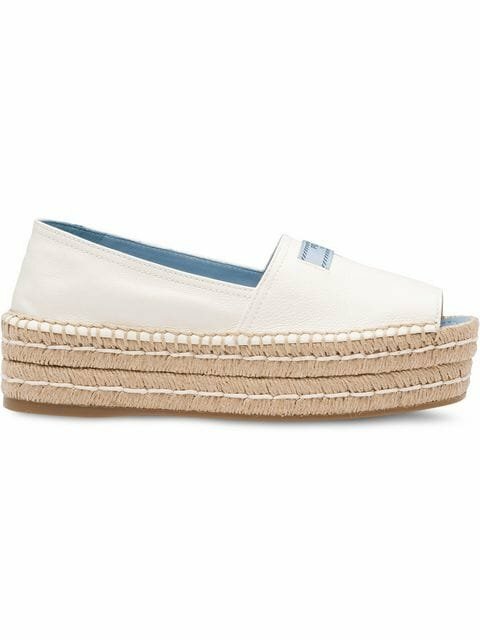 Crafted from leather, these espadrilles feature a platform sole, a slip-on style and a peep toe. 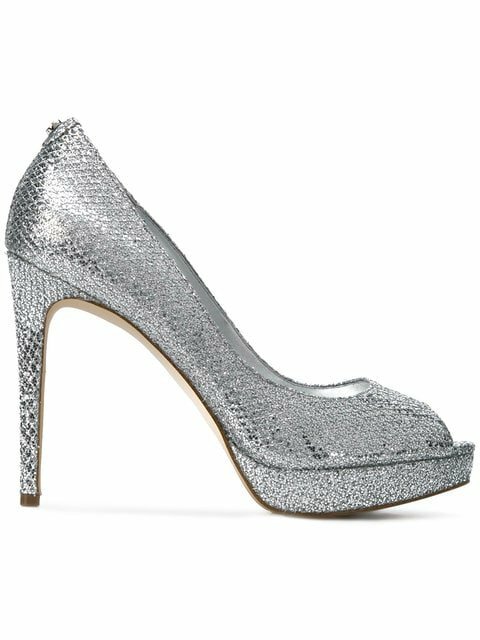 Silver-tone peep toe pumps from Michael Kors featuring a slip-on style, a branded insole, a high stiletto heel and a metallic sheen. Italian fashion house Fendi is well known for its exquisite and elegant designs crafted from the most luxurious materials. 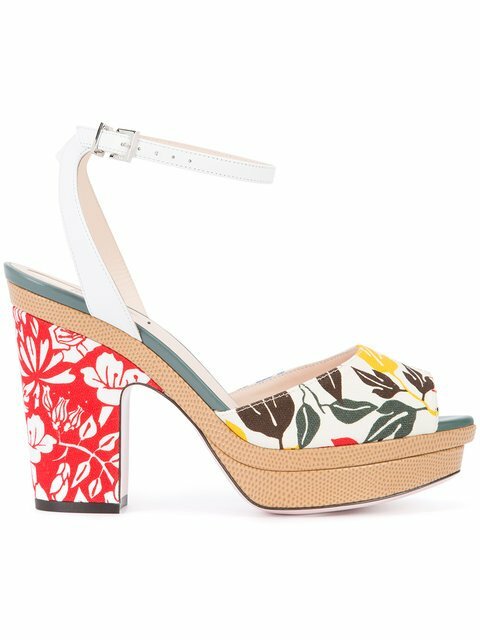 Crafted from a premium blend of cotton and leather, these multicolour peep-toe sandals from Fendi are statement shoes for SS17 and beyond. 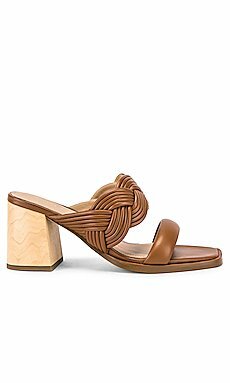 Complete with a peep toe, a mid-high block heel and an ankle strap fastening, these Fendi sandals are perfect for reinventing staple denims and floaty dresses. Black suede peep toe sandals from Roberto Cavalli featuring a high stiletto heel and a peep toe. Black and white leather pearl embellished peep toe sandals from Coliac. 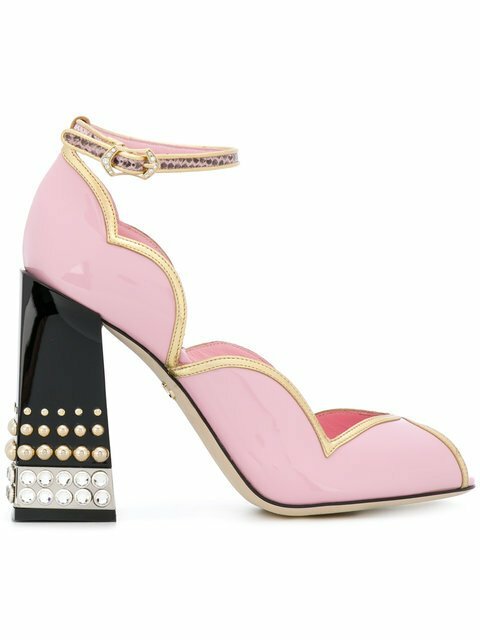 For Spring Summer 2018, Dolce & Gabbana present these playful Peep Toe D'Orsay pumps with jewel heel. Crafted from luxury Italian leather and patent leather, these Dolce & Gabbana pumps are the perfect standout piece for your wardrobe. Presented in a pretty pastel pink, these D'Orsay pumps feature a peep toe, a slip-on style, a branded insole, an ankle strap with side buckle fastening and are decorated with gold-tone trimmed scalloped details and a high block heel with gold-tone rounded stud embellishments and silver-tone jewel embellishments for a glittering finish. Handmade in Italy, Marsèll’s boundary-pushing shoes and accessories combine expert craftsmanship with unconventional luxury. 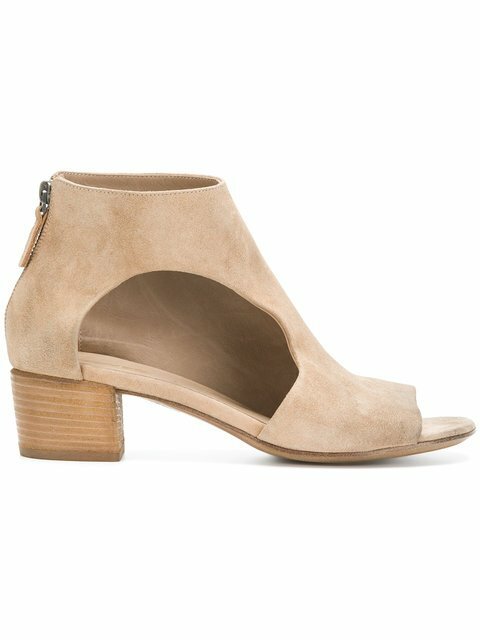 These sand brown leather and suede peep toe cut-out ankle boots feature a round toe, a low block heel, an ankle length, a rear zip fastening and a cut out detail.